I’ve failed and it’s bitterly frustrating. 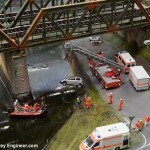 I’ve failed in my goal to build a model railway for £35 by December/January. 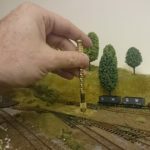 Back in August, I set myself a goal of building a model railway layout for £35 and to complete it in a fix time span. The £35 was to include everything. 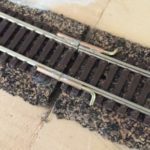 Track, trains, electrics, layout elements. Everything. The timespan was December/January and was imposed to make life more interesting. And I committed to donating £100 to charity if I failed. Not in the creating the layout for £35. Actually, I’ve achieved this. Track: Budget £5, Spent £5. Total: Spent so far, £24.97. I had £10 remaining to get the trains. As I mentioned here, this was proving a real problem. I know I can get rolling stock for this at car boot sales but I’d overlooked the fact that my car boot sale doesn’t open in the Winter months. 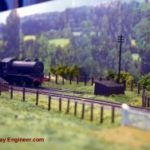 Luckily, while at the Guildford model railway exhibition last weekend I came across some stalls selling rolling stock cheap. I tried haggling to get a little wagon included in the price but the seller wouldn’t budge. (Can’t really blame him). 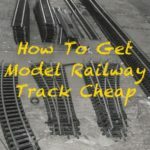 The end result is I managed achieved my goal: I had a model railway, track, electrics and train for £35! 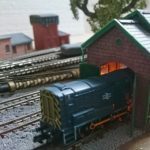 It was incredibly tight, I’d have liked more rolling stock and it took much longer than expected to get everything needed for a layout for £35 but I came right in the end. Where I screwed up, however, was the deadline. I’ve been building layouts for years and years and should have known better but I figured for a small layout like this it would be possible to build and finish it in six to seven months. Unfortunately, I didn’t account for being away over Christmas and lost two and half weeks from my project timeline. We’d booked this holiday earlier in the year so there’s no excuse but it happened. As a result, I’m going to miss my target deadline by two weeks and I’ll be writing a cheque out to a charity shortly — more on this later. This is a shame because apart from this, I’ve actually made some great progress over the last few weeks. Firstly, I’ve fitted the back scene as can be seen above. The background I’ve chosen was actually a painting by one of England’s top artists. No, sadly, I didn’t get Banksy to create one of his distinctive stencils for me. Instead used a cloud study painting by John Constable. I’ve had been planning to use this painting on the box layout for some time although I only got around to talking about Constable and model railways recently. I found a picture of it online; scaled it in Microsoft Word; printed it out several times, and then cut it to shape and matched the edges of the different pieces before finally glueing it in place. As mentioned here, I’ve also curved it at the corners so as not to ruin the impression with a hard rectangle corner. With this in place, I then set about the cliff face. Normally, I create cliffs with plaster or tree bark but as an experiment, I tried printing rock photos and cliff faces. As with the back scene, I found some rock faces images online, resized them to the dimensions needed and printed them out. Inkjet and laser printer outs have a waxy sheen that I was concerned might look naff. To get around this I use opted for rock faces with a sheen or glint to them: quartz and silica in particular. 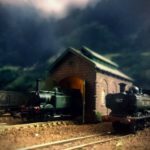 As I mentioned in a chat with rgs455 and royalboney on Instagram, photos of dull rocks like Sandstone wouldn’t have worked. Royalboney suggested using textured paper and I want to try using Testors Dullcote to tone down the sheen but experimenting with these can wait for another day. Even though it started as an experiment I’m impressed with the printed rock face. It took literally five minutes to print and glue them in place — a lot, LOT, quicker than my traditional rock modelling techniques of plaster and tree bark. 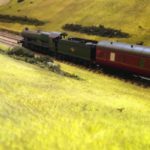 With the background and front cliff face in place, I then used sea-foam grown bushes and bits of bath sponge to create vegetation on the plateau and at the foot of the clothes. The area in between the cliffs and rear track was then topped off with some homemade scatter, seen in the picture left. Although I’ve missed my deadline for completing the project I’m not stopping with it. I’ve had so much fun and learnt so much along the way I’m going to keep going until it’s finished. There’s probably only a couple of weeks of work remaining which is frustrating but hey ho. I’ve started on the buildings and will be following up with a post on this soon.